1. Rishab Jain, 13, is the 10th anniversary winner of the Discovery Education 3M Young Scientist Challenge. The Oregon native created a method that uses AI to accurately locate the pancreas during cancer treatment. 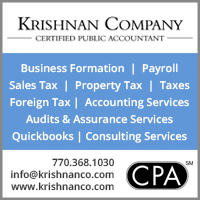 How many times have Indian-Americans won this $25,000 award? 2. 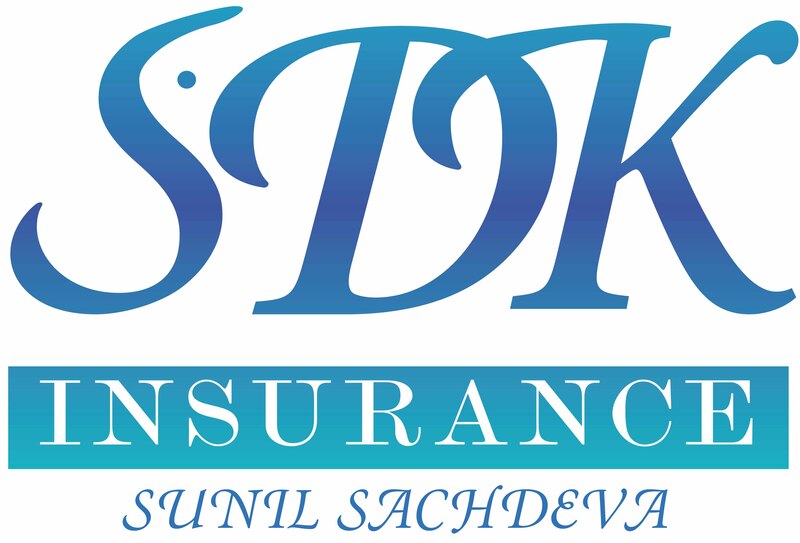 In the 2018 Forbes list of America’s wealthiest individuals, Vinod Khosla, Kavitark Ram Shriram, and Niraj Shah are each worth $2.2 billion. 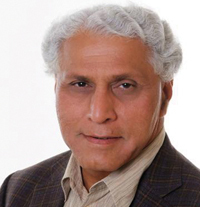 Romesh Wadhwani ($2.5 billion) and Rakesh Gangwal ($2.3 billion) are also included. Who is ranked number one in the nation? 3. 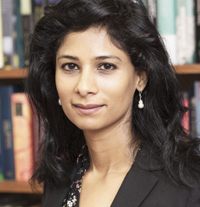 Gita Gopinath, a Harvard economics professor, has been appointed as chief economist of the International Monetary Fund. She’s the first woman to serve in that capacity. The World Bank’s chief economist is also a woman. The IMF, headed by Christine Lagarde, is based where? 4. 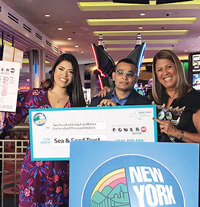 Nandlall Mangal, a carpenter of Guyanese Indian descent, didn’t bother to check his Quick Pick ticket for a while, and almost threw it away. When he finally looked at it, the Staten Island resident realized that he’d won the New York Lottery Powerball. How much did Mangal win? 5. 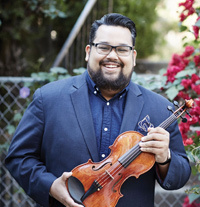 Vijay Gupta, a violinist with the LA Philharmonic, is the cofounder of Street Symphony, and Raj Jayadev is the cofounder of Silicon Valley De-Bug. 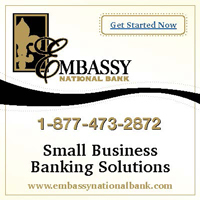 For their work to assist the incarcerated, the homeless, and the underserved, they each won a $625,000 award this year. What is it called? 6. The 116th U.S. Congress will meet in January. 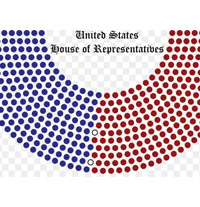 In the 115th Congress, we have 12 foreign-born members out of 435 representatives and 100 senators. While three of the current representatives below are children of immigrants, which one is a foreign-born representative? 7. 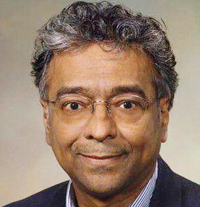 The 2018 Einstein Prize has been awarded to Abhay Ashtekar, a professor who holds the Eberly Chair at Penn State University. The $10,000 biennial prize, established in 1999 by the American Physical Society, honors individuals for accomplishments in what area of study? 8. India’s largest book fest is called JLF. The initials stand for Jaipur Literature Festival. 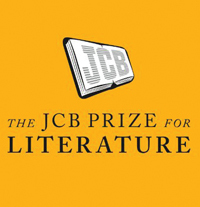 And now we have JCB, said to be India’s richest book prize. The initials stand for Joesph Cyril Bamford. The inaugural award, presented late last month, was worth how much in rupees? 9. 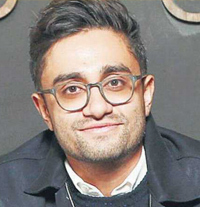 Aneesh Chaganty used to make Google commercials before he switched to movies. His debut, Searching, a thriller unfolding entirely on computer screens, won the Alfred P. Sloan Feature Film Prize when it was screened at the Sundance Film Festival. In which state was it held? 10. 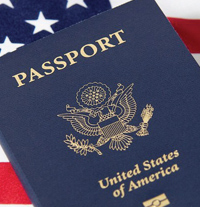 In 2017, about 50,800 Indians obtained U.S. citizenship, according to figures released by the Department of Homeland Security. While that was a healthy 10 percent growth over the previous year, it was second to which national group that saw the biggest growth (14 percent) from 2016? 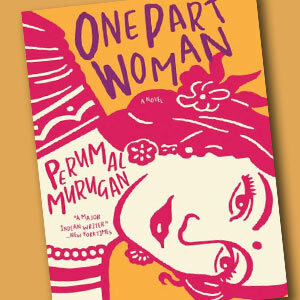 Perumal Murugan’s One Part Woman (Grove Press), crisply translated from Tamil by Aniruddhan Vasudevan, has finally made it to the U.S. It was originally published in 2010—but after the English version appeared in India in 2013, the author’s life got complicated when some intolerant groups in his home state were offended by his depiction of an 18-day festival that’s crucial to the story. The fact that this was a novel, set in rural southern India a century ago, didn’t matter. But Murugan weathered the storm, and today he’s a leading writer in India. 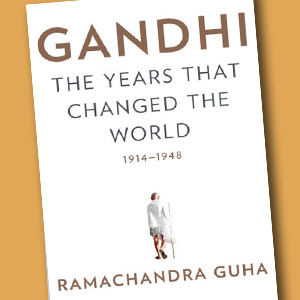 Gandhi: The Years That Changed the World, 1914-1948 (Knopf) is Ramachandra Guha’s final volume in his magisterial Indian trilogy. While the first book, India After Gandhi, doesn’t have much to do with Gandhi, he is at the center in Gandhi Before India, which deals with his early years. Now, on the 70th anniversary of his death, do we really need another book about Gandhi, who has received more attention than any other figure in modern Indian history? Well, it makes a difference when the author is Guha—and, unsurprisingly, the book is a best seller. Guha is known for his deep dives in the archives, and once again he has ranged widely. He drew on 60 different collections from across the world to unearth new material, some of it controversial, and entice readers. Even as he chronicles the most famous Indian’s accomplishments, Guha revives the debate on his peculiarities. But he also goes beyond Gandhi to give readers a sweeping perspective of a momentous period in 20th century India. 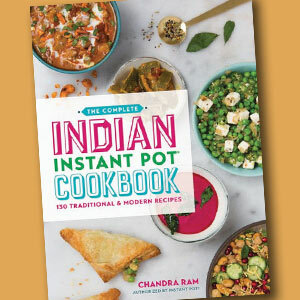 Chandra Ram’s The Complete Indian Instant Pot Cookbook (Robert Rose) is one of many titles focusing on the latest hot gadget in kitchens everywhere. For Indian cuisine especially, the Instant Pot has become such a game-changer that you could have an entire shelf devoted to these cookbooks. 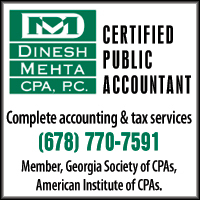 Ram, a Culinary Institute of America graduate, is of Indian and Irish descent. Having worked for 15 years as a chef and consultant, she’s well qualified to make Indian cooking less intimidating in the kitchen. In any case, gone are the days when you had to spend a lot of time and effort following complicated directions. This miracle pot, a vast improvement on the now-primitive pressure cooker, has revolutionized cooking. The smoothly mechanized process and the damp environment make it ideal for many Indian dishes. Is it any wonder, then, that no other cuisine involving the Instant Pot draws more cookbook writers or social media users? Rinku Bhattacharya, Urvashi Pitre, and Archana Mundhe are a few other Instant Pot cookbook authors. 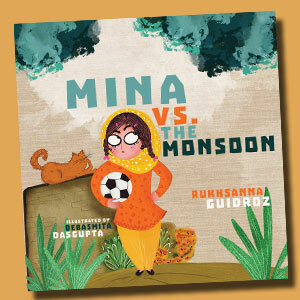 Mina vs. the Monsoon (Yali), a picture book for the youngest readers (4-6 years), is by Rukhsanna Guidroz. Debasmita Dasgupta did the illustrations. The monsoon season may be magical for South Asians, but it bothers Mina because she loves to play soccer outdoors. Will she find a solution? Guidroz, whose next picture book will be called Leila in Saffron, is a globalist in a way few children’s book authors are, even these days. Her father is of Indian and Persian heritage, and her mother is Chinese. Having lived in Europe and Asia, she now makes her home in Hawaii. Indian Folk Tales (Armadillo), a new book for older kids, was retold by Caroline Ness and Neil Philip, and illustrated by Jacqueline Mair. For the younger set, Swami on Rye: Max in India, reissued by NYR Children’s Collection, is a quirky tale by Maira Kalman. Tales of India: Folk Tales from Bengal, Punjab, and Tamil Nadu, released by Chronicle Books earlier this year, has illustrations by Svabhu Kohli and Viplov Singh.